Here is a nice little effect you can perform with any five cards. 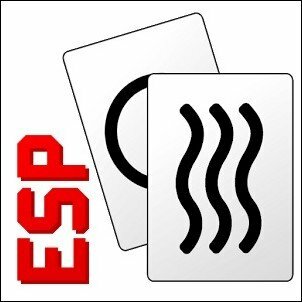 In this adaptation, we are using the five ESP symbols. Cards are shown, inspected, shuffled and one symbol selected, by the participant, while you are turned away. They mix the symbols (face down) some more and then deal the cards face down, again while you are still turned away. They pick up their cards, hold them on their palm (still face down) as you begin to sense their symbol, yup you are still not looking. They mix the cards a third time (face down), you turn around and reveal their symbol. Multiple ways explained, performance video included with the PDF, along with pictures. 1st edition 2017, 3 pages.